Southern Pines Animal Shelter is pleased to be able to partner with both Petco & Petsmart to increase our cat adoptions. We house cats at the adoption centers located at both Petsmart & Petco of Hattiesburg. We depend on volunteers to help us make sure these cats are receiving the same high quality of care they are receiving at the shelter. Cats that get sent to an offsite adoption center are usually housed there until they are adopted so they definitely appreciate volunteers taking care of them and socializing with them. Lending a paw is easy and usually only takes about an hour. Volunteers can complete this task anytime from 9 am to 9 pm. All supplies and materials are provided and are kept offsite at the adoption center. 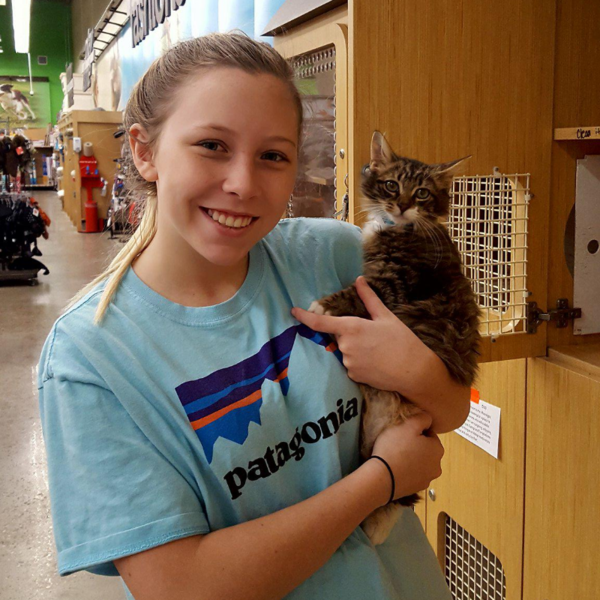 Log in to see who is volunteering for Pet Store Cat Caretaker!